Why does the Campaign care about community college students? 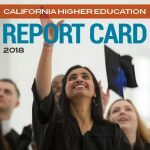 Transparancy & accountability: Implement and publicize a student success score card offering transparency on progress across milestones and toward degree, certificate completion or transfer—with data disaggregated by race for each college. We believe these reforms will significantly increase community college completion rates and help us stave-off this staggering projected shortage ensuring the state’s future economic prosperity and allowing students the opportunity to reach their goals. To read the final report with the recommendations, click here. These reforms will be implemented in a few ways, some via legislative and budget action, some via regulatory or administrative policy changes at the system level, and others as college-level best practices. The Campaign has prioritized a handful of the recommendations as key points of advocacy, including the adoption of system-wide enrollment priorities. The Student Success Task Force recommended that the colleges adopt system-level enrollment priorities to: 1) reflect the core mission of transfer, career technical education and basic skills development; 2) encourage students to identify their educational objective and follow a prescribed path most likely to lead to success; 3) ensure access and the opportunity for success for new students; and, 4) incentivize students to make progress toward their educational goal, all of which were included in the resolution adopted by the BOG. 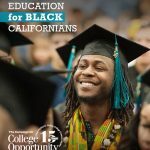 In September of 2012, the California Community College Board of Governor’s (BOG) voted unanimously in favor of regulation change. Read The Campaign’s press statement on the BOG’s approval of priority enrollment. 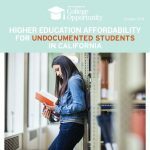 Additionally, the Campaign worked to ensure the successful passage of SB 1456: The Student Success Act of 2012 (Lowenthal), which addressed several recommendations made by the Student Success Task Force. SB 1456 was signed into law on September 26, 2012 by Governor Jerry Brown. This bill provides critical support services to students on the front-end of their educational experience to increase student success by establishing policies to ensure that all students receive orientation, create an education plan, and declare a program of study; targeting student success and support funds for the vital matriculation services critical to helping students progress towards their college goals; and, requiring campuses to participate in a common assessment system and post a student success campus scorecard as a condition for receiving student success categorical funding. This bill also requires satisfactory academic progress to maintain eligibility for a BOG fee waiver. The Campaign was proud to support this legislation and will continue to monitor and advocate throughout the implementation process. Read the fact sheet here, including a list of the more than 100 supporters of the bill. Read our press statement about the Governor’s signature on SB 1456. 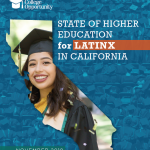 We are hopeful that the recommendations from the Community College League of California’s 2020 Vision Report and the Chancellor’s Office Statewide Student Success Task Force, will provide additional opportunities for substantive reform proposals that focus on improved completion. 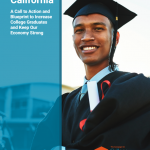 We will continue to urge the Governor and state policymakers to prioritize a college completion agenda for California by devising policy and budget reforms that reward student success.